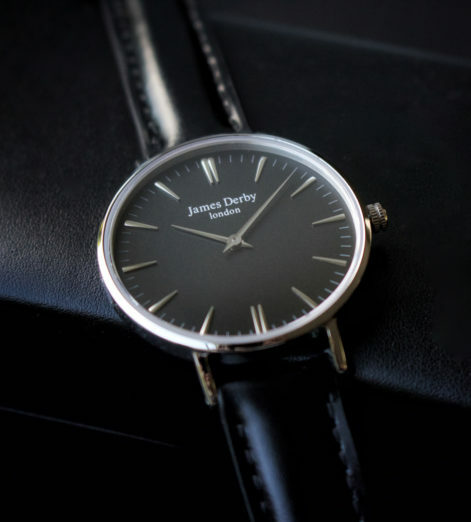 James Derby founder, James Harrower, believes your watch should be suitable for all occasions. Whether you are in a bar, at work, at a formal event or even on the beach, he thinks that a watch is more than just a timepiece; it expresses who you are. 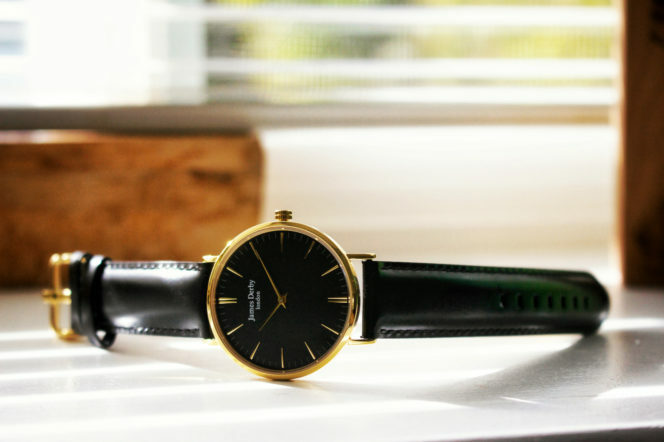 We’re inclined to agree with the watchmaker, and have been rather taken by his stylish, refined, fashionable, inventively designed, but — above all — affordable watches. Which is why we’ve decided to team up with James Derby for our latest giveaway. 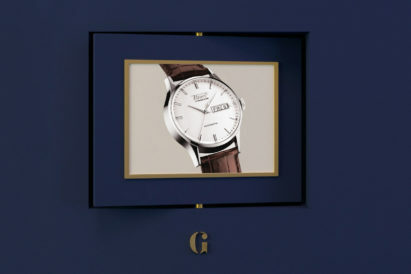 Manufactured with the highest quality Japanese movements in a stainless steel cases, with sapphire crystal quality glass and genuine leather straps, each of the brand’s timepieces represents what a gentleman should stand for: Performance, charm, excitement, heritage and prestige come together to create these unique designs. The watches come in various sizes: Men’s 40mm, Women’s 36mm and a new Women’s Petite 32mm range that launched this week. And what’s better than owning such a versatile timepiece? Sharing it, of course. 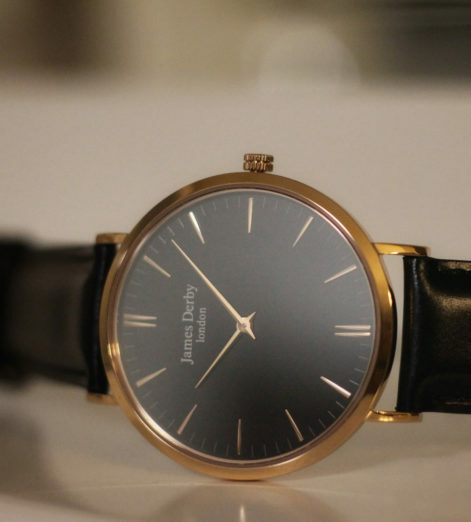 As such, we’re not only giving away a men’s watch, but also a women’s timepiece. Interested? We thought so. Each of the collections are named after an area of London, with Belgravia, Chelsea, Kensington and Mayfair all getting a look in, among others. 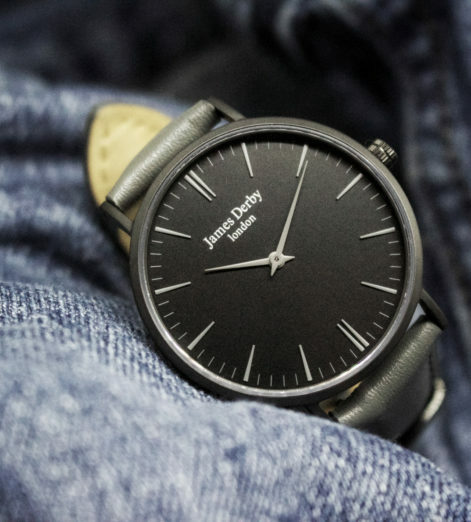 So take a look here at James Derby’s site to choose which watch you and your partner may want if you win — and enter your details below to be in with a chance. 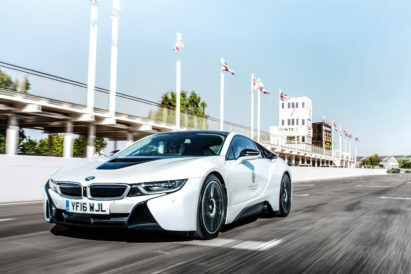 The competition is open to UK residents over 18 only. The competition will close on May 18th 2018. The product is non exchangeable or refundable. It is subject to stock availability and must be redeemed within 4 weeks of winning. By entering this competition you are agreeing to receive emails from Gentleman’s Journal and allow Gentleman’s Journal to pass your data on to James Derby for email use ONLY. 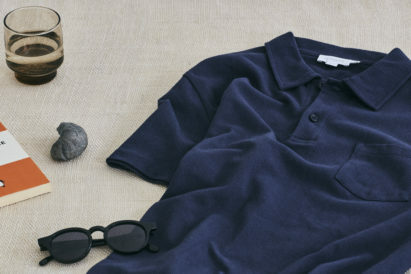 Crafted from Sea Island Cotton, do you want to win the brand's new Ian Fleming Collection?